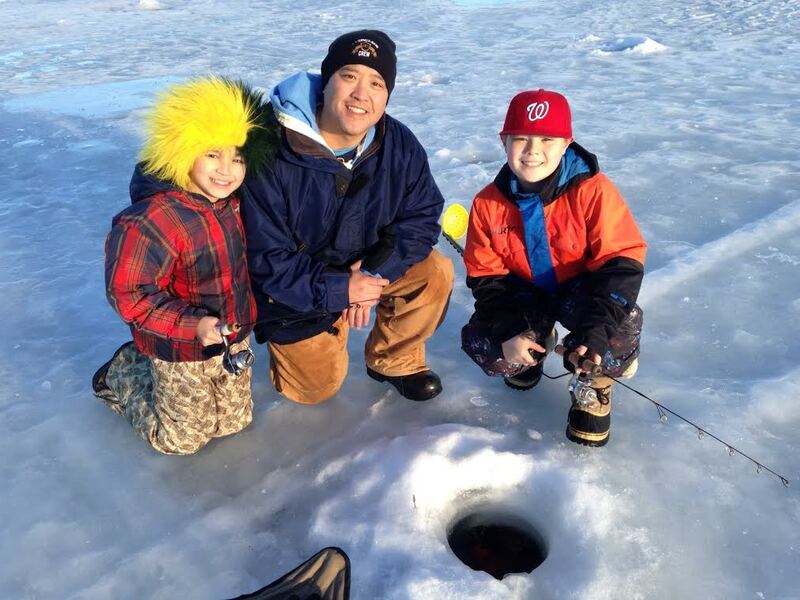 Matt Sugita (center) and his sons Skyler and Teran ice fishing at Jewel Lake in Anchorage. Photo by Charles Wohlforth. Ice fishing on Silver Lake. Photo by BLM. What goes on inside those tents you see on the frozen lakes around town? On the next Outdoor Explorer,we’ll find out. The topic is ice fishing. Folks do it on stocked lakes all through the city – that’s another unique thing about Anchorage – and in the backcountry they catch great big fish through the ice. We’ll find out how to do it and why. 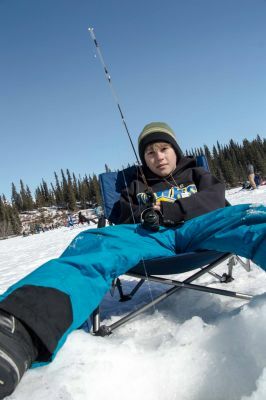 What’s the attraction of fishing in the middle of winter when the water is frozen? 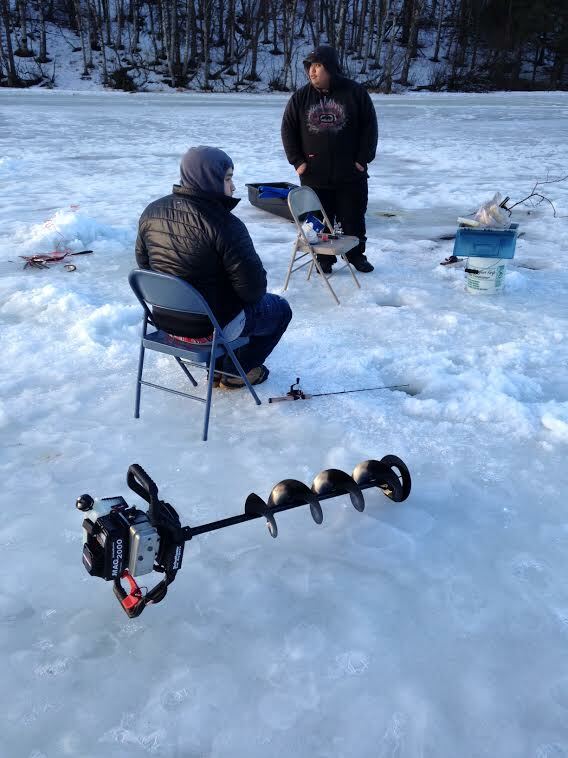 Israel Thor and Eli Lee ice fishing at Little Campbell Lake in Anchorage. Photo by Charles Wohlforth.